What Kind of Emerald Do You Want in Your Engagement Ring? Are you considering emerald for your engagement ring? Emerald carries a one-of-a-kind color, and is a popular choice for a unique engagement ring. We have a gorgeous collection of loose emeralds! With a beauty all their own, emeralds are the embodiment of pure elegance. 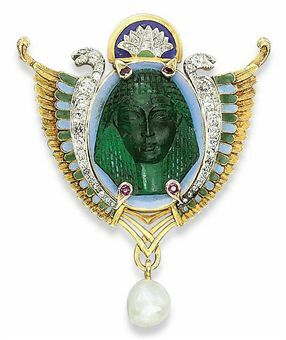 The first known emerald mines were located in Egypt, and these gemstones were known to be a favorite adornment of Cleopatra’s. Emerald is the most regal of gems, and a popular choice among celebrities and royalty the world over. Emerald is a variety of the mineral species, beryl. Other varieties of beryl include aquamarine and morganite. The color of the gemstone is what sets emerald apart from other varieties of this mineral. Colored by trace amounts of chromium, emerald ranges in color from yellow-green to blue-green, with bright, verdant green considered the most valuable and desired shade. A certain degree of color saturation must be present for a beryl to be considered an emerald. When the green hue is determined to be "too light”, the gemstone is classified as simply "green beryl”. The Mohs Hardness Scale is a well-known standard for determining the strength and durability of a gemstone. However, hardness is not the only factor that must be taken into consideration when deciding whether or not a stone is the best choice for the manner in which it will be worn. Toughness is another property that must be taken into account. While hardness refers to a gemstone’s ability to resist scratching, toughness refers to the ability to resist breaking, or "cleavage”. At a 7.5 – 8 on the Mohs scale, emerald is a relatively hard stone. However, it is lacking in toughness and is very prone to cleavage. Because of this, emerald is best suited to pendants, earrings, and brooches. Emeralds of the highest quality fetch premium prices, rivaling—and even exceeding—those of diamonds.Color is by far the most vital criterion in determining an emerald’s value, with the clarity coming in at a close second. The finest emeralds will have a rich, vibrant green like that of a lush Irish landscape. Top gems should also possess a high degree of transparency. By their very nature, these stones tend to be heavily included, with a common occurrence of surface-breaking fissures. Almost all emeralds are treated, as stones that do not have surface-reaching fissures and multiple inclusions are exceedingly rare. An oil treatment is typically used to enhance the clarity of an emerald as part of the post-lapidary process. Cedar oil is the most commonly used treatment, as it has a similar refractive index to that of emerald. A fine emerald is a beauty to behold and a joy to wear. However, special precautions must be taken in the care of emerald, and due to its fragile nature, it is not recommended for everyday wear. At Krikawa, our gemologists can assist you in finding the perfect alternative for your custom ring. Have your heart set on emerald? When only this gemstone will do, Krikawa will guide you through the selection process and provide you with all the information you need to properly care for your delicate beauty. Any of the engagement rings shown on the site can be made with emerald accent stones. See all of your accent stone choices here!